Laura Kovács is a full professor at the Faculty of Informatics of Vienna University of Technology (TU Vienna). She also holds a part-time professorship at the Department of Computer Science and Engineering of the Chalmers University of Technology. She has a diploma in computer science and math from the West University of Timisoara, Romania and a PhD with highest distinction in computer science from the Research Institute of Symbolic Computation (RISC-Linz) of the Johannes Kepler University Linz, Austria. 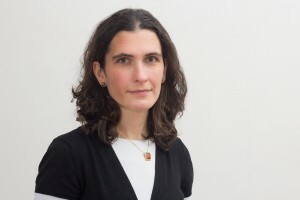 In her research, Laura Kovács deals with the design and development of new theories, technologies, and tools for program analysis, with a particular focus on automated assertion generation, symbolic summation, computer algebra, and automated theorem proving. She is the co-developer of the Vampire theorem prover. In 2014, she received the Wallenberg Academy Fellowship and an ERC Starting Grant. This page remains under construction. For more details, please visit the homepage of Laura Kovács at Chalmers.